In all our years of watching and researching consumer trends, this is the first time that the evidence we are gathering as BMi Research points to an overwhelming digital influence - where the majority of factors shaping South African consumer behaviour is rooted in current and emerging technology. With government pressurising cellular networks to decrease data costs, data usage is set to spiral. The moment this happens, we will see a significant increase in mobile e-commerce in South Africa. We have noted a steady increase in recent years in pre-shopping research, with shoppers using price comparison websites to ‘shop around’ before deciding on which bricks and mortar store to visit to make their purchase. This practice is becoming even more important against a backdrop of stagnant income and rising living costs. With cheaper data, we expect online price comparison to hit an all-time high, coupled with an increase in mobile e-commerce, as more millennials and members of Generation Z become economically active and use their phones for online shopping. This will be a natural evolution for this influential market, where mobile device usage is an intrinsic part of daily life. Although many don’t realise it yet, South African consumers are already becoming accustomed to artificial intelligence. Apple iPhone users utilise AI every time they engage Siri, as do online shoppers when asking ‘live online consultants’ questions about stock items and get an immediate answer. These are actually chatbots; they function like human consultants, but are completely robotic. That’s AI in action. The strength of AI within the retail environment is the unparalleled access it provides retailers to consumers, and the opportunity to efficiently engage existing and potential customers. Previously, online consumers would have to wait for a human to answer their query via email. Now that communication is instant, while the consumer is on the webpage. That is powerful brand engagement, and paves the way for that Holy Grail of consumerism – true mass personalisation shopping. In that context, AI would enable a retailer to tell regular shoppers what to buy and when, based on algorithms measuring their previous purchases; where to buy it from (i.e. which store currently has stock); and which items that customer regularly purchases are currently on promotion. The growth in customer interaction on various digital platforms, and the rise of AI in taking this to the next level, is beginning to drive true omnichannel engagement. We’re not just talking traditional digital channels like web portals, sms or Facebook; new frontiers are being conquered in facilitating this multipronged retailer-customer engagement, such as WhatsApp, WeChat and even Snap Chat. 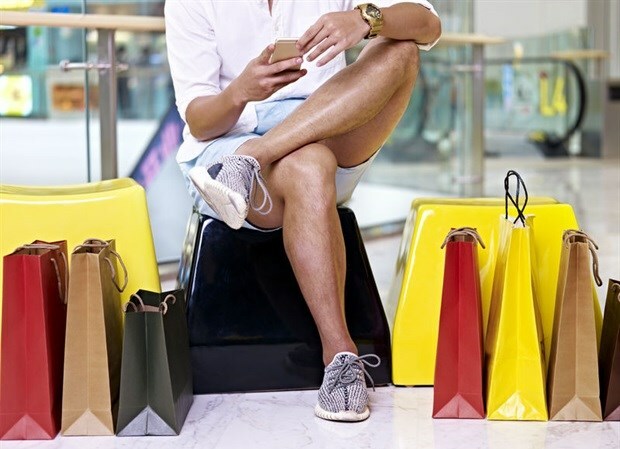 This brings with it enormous benefits, such as real-time 24/7 communication; true on-the-go mobile interaction; eliminating the need for access to PCs, as only mobile devices and connectivity are needed; and the fact that this type of engagement is perfectly aligned with the expectations of the emerging millennial and Generation Z consumer. As digital natives, this generation wants to truly experience brands and the value they offer through new technologies. The omnichannel aspect allows retailers to do just that. The new consumer is clever: they use, consume and share data to make informed decisions about the brands they will, or won’t, support. And they are conscious because they only support those brands they deem ethical. This is a major trend and should not be underestimated. The rising consumer voice is getting stronger, and unethical brands will be subject to trial-by-consumer via social media channels which, once it gains traction and goes viral, can be devastating for a brand. Retailers and brand owners should be aware that social media is the weapon of choice for millennials and Generation Z. Consumers of all ages, are demanding transparency, they want brands they can trust, and want to see ethical behaviour, from corporate leadership level right down to retail operations, as evidenced in marketing communications and pricing. Unethical behavioural situations and scandals will taint brands for much longer than previously, as millennials and Generation Z are harder on brands and expect them to behave the way they do as ethical consumers. Black Friday has firmly entrenched itself in the SA retail environment. Last year Nielsen revealed local Black Friday turnover was R1.3 billion, more lucrative than Christmas trading for some retailers. But just as local consumers have been quick to embrace this American tradition, so we could well see consumers looking to other global retail days for inspiration. Take Singles Day, for example. This Chinese innovation was introduced by Alibaba – one of the world’s biggest commercial online traders – as an anti-Valentine’s Day for singles in the 1990s. It is held annually on 11/11 and has become the biggest on and offline shopping day on the planet, doing nearly four times as much business as Black Friday and Cyber Monday combined. It is growing at 39% per year, and last year turned over 25.3 billion dollars (around R359 billion), completing 812 million orders, and 1.5 billion financial transactions, in 24 hours. At its peak, Singles Day 2017 recorded 256 000 transactions per second! This is a clear case of East leads West, where eastern retail trends are beginning to infiltrate the western market, and hints at the future of global consumerism, facilitated by the advancing of digital technologies. 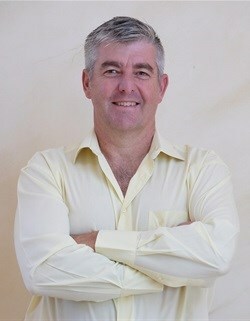 Gareth Pearson, CEO and shareholder of BMi Research (www.bmi.co.za), is a market research specialist with particular focus in the industrial and FMCG markets in various sectors, including the retail market. He serves as a member of the South African Institute of Packaging's Regional Committee and is involved with the South African Packaging Council. Gareth was responsible for the merger of BMi Foodpack and Adcheck Research during 2008. Contact Gareth on tel +27 (0)11 615 7000.